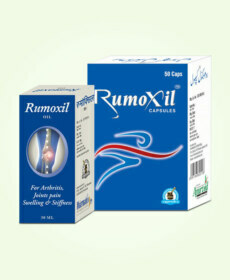 Rumoxil oil is a blend of powerful herbs and natural oils that help relieve painful, swollen and stiff joints. 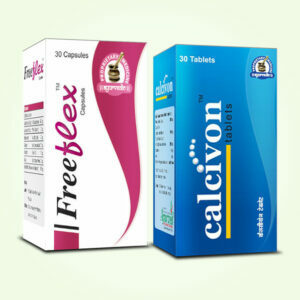 Buy Rumoxil capsules online in India and keep your joints healthy, strong and enduring. 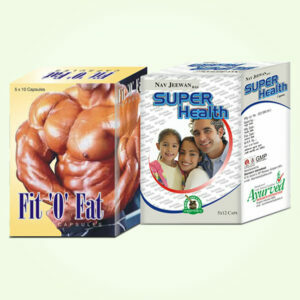 Joints need optimum nourishment to stay fit and energized and perform without causing any trouble. Due to ageing and weaknesses supply of nutrition decreases which makes them weak and fragile, disorders like arthritis cause damages to organs and make them stiff, misaligned and even immobile. Higher toxins present in blood or higher level of acids like uric acid also cause damage to joints. To keep them healthy and enduring one needs to take their proper care as these organs are under constant strain by bearing weight of body during movements and physical activities. Those who lead a strenuous lifestyle or are in jobs which can cause injuries to muscles, bones and joints need to support these organs to stay mobile and fit. Massages with Rumoxil oil are wonderful for treating damages and injuries and alleviating pain and inflammation. This herbal joint pain oil on regular use keeps them healthy, strong and enduring to prevent trouble. Rumoxil oil on topical application provides pain relief and diffuse swelling, this oil contains herbs which numb pain-signal carrying nerves and reduce swelling to promote movement. This herbal oil for painful and stiff joints enhance flow of blood and supply higher nutrition and oxygen to tissues, it strengthens muscles, ligaments and tendons of the joints and also keep it infection-free. 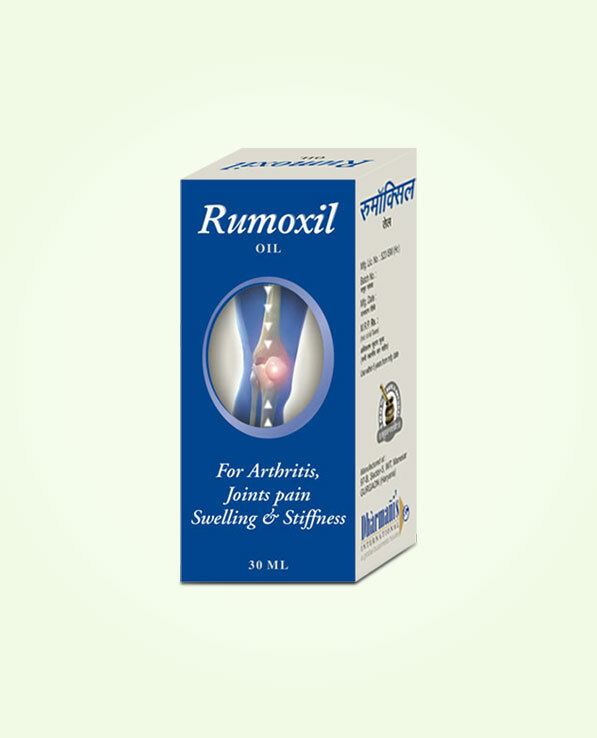 Rumoxil ayurvedic herbal joint pain oil repairs damaged cartilages to provide long-lasting relief from debilitating disorders like arthritis. This oil improves neuromuscular functions and calm down weakness in muscles and ligaments to improve joint stability and endurance. Regular use of this oil improves bone health as well and prevents these from shedding to damage cartilages and cause joint deformity. This herbal oil for painful and stiff joints penetrates deep into skin and affects underlying organs to provide relief from joint problems. Rumoxil herbal oil for painful and stiff joints come loaded with herbal oils like Jaiphal, Long, Gandhapurna, Gandhapatri, Tarpin, Ajwain, Dalchini, Buleylu, Satt poudina and Kapoor. These oils in combination work very efficiently to curb pain, inflammation and stiffness occurring due to injuries, overuse, strenuous activities and also due to serious disorders like arthritis. This herbal joint pain oil is very useful for ageing individuals to keep them mobile and active and prevent any joint related problems. Due to purely herbal nature this oil is highly beneficial for men and women of all ages and completely free of side effects. It is mild on skin and do not cause any rashes or irritation even on sensitive skin. Ajwain oil (Ptychotis Ajowan), Tarpin Ka Tail (Pinus Longifolia Roxb. ), Jaiphal oil (Myristica fragrans), Long oil (Caryophyllus aromaticus), Kapoor (Camphora), Dalchini oil (Cinnamomum Zeylanica Blume), Gandhpurna oil (Oil Winter Green), Bullelu Tail (Sesamum Indicum), Satt paudina (Mentha Piperata) and Gandhpatri oil (Eucalyptus Globulus Labill). Shake the bottle of Rumoxil oil and then massage this ayurvedic herbal joint pain oil on the affected body part for a few minutes till it gets properly absorbed. Continue the usage of this oil for 3 to 4 months in a regular manner to achieve long lasting results. It is recommended to avoid the use of direct fan for the first 15 to 20 minutes of application of this oil. My grandfather was able to reduce his joint pain within just 3 months of usage of Rumoxil oil. Truly recommendable oil for joint pain!! Joint pain is really painful, especially for the elderly. My father, who is fairly old, had regular joint pain which made him unable to walk much. 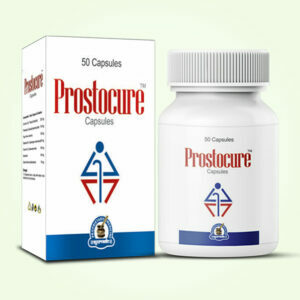 My Uncle recommended him this product and then after using this product for a few months, he started feeling better. He still uses this product and and it has really helped him over time. STRONGLY RECOMMENDED.